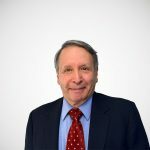 In the Tuesday Wall Street Journal, Professor Alan Blinder wrote of his puzzlement at the very slow growth of productivity in the last three years. There is really no mystery. The rate of growth of investment in equipment in this economic recovery has lagged far behind that of a normal rebound. As a result, the workforce is not getting much additional capital to work with, wages are not growing strongly, and job creation is very slow. The accompanying graph shows the slow pace of equipment growth per worker since 2007. 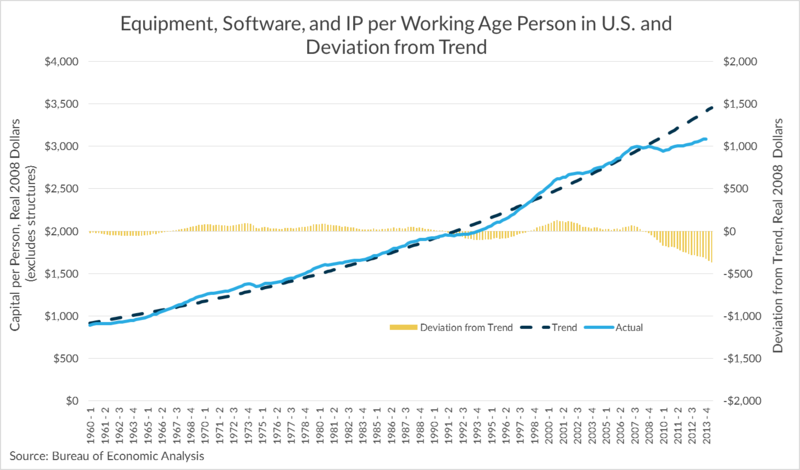 The stock of equipment and software per working age American is nearly flat since mid-2007. It should have grown by about 16 percent since then to match trend. In fact, it has risen less than 4 percent. That’s about $1.035 trillion in unmet investment needs, or about $400 in missing equipment per worker. The slow investment is due in part to the failure to renew 50 percent expensing of capital outlays for equipment, which expired in 2014, and in part due to higher taxes on income from saving and investment in the “fiscal cliff” budget deal in 2013 and the Affordable Care Act. These added taxes on capital formation in the United States have curtailed the growth of labor productivity, and thereby reduced the growth of wages. Taxing capital hurts labor. These tax increases should be rolled back, and expensing should be adopted on a permanent basis. That would raise wages, restore some of the blue collar jobs that have been lacking in recent years, and restore some income growth for middle income wage earners.